How do you kill a unicorn? The answer may be to go public. Lyft fell below its IPO price on the second day of trading, a grim sign for other Silicon Valley darlings planning to follow it into the waiting jaws of Wall Street. The first peek at Saudi Aramco’s books confirms the oil giant easily outstrips U.S. giants such as Apple and Exxon Mobil when it comes to net income. But the state-run behemoth has some unique burdens. A gauge of U.S. factories topped estimates after having hit a two-year low. The new data may signal some stabilization after a rocky few months. Congress plans to subpoena an ex-White House official over two dozen top-secret clearances, including some for top presidential aides, that were first denied but then allegedly approved by supervisors. The cyclone that’s killed more than 500 people in Mozambique has also triggered a cholera outbreak, with more than 1,000 cases. New York’s powerful real estate lobby managed to pressure state politicians into killing a pied-a-terre tax, leaving only a one-time entry fee for the super-rich looking to buy in Manhattan’s luxury residential market. Despite the U.S. attorney general’s memo saying the special counsel found no collusion between the Trump campaign and Russia, the president’s approval rating remains largely the same. And that, Jonathan Bernstein writes in Bloomberg Opinion, should worry him. What’s Joe Weisenthal thinking about? The Bloomberg news director says the collapse in long-term rates may boost the housing market, which had some good news Friday after a tough 2018. This is the wealthy Asian city where the rich don’t flaunt it. The Philippines is worried about 200 Chinese ships. One of Russia’s richest women was killed in a plane crash. Equity markets hit record levels for the year on Monday. Trump’s trade war is hurting farmers, and Democrats smell blood. Airlines recover from a system failure that triggered delays. John Oliver did a leg drop on World Wrestling Entertainment stock. Van Gogh, Monet, Rothko and Homer...Simpson. 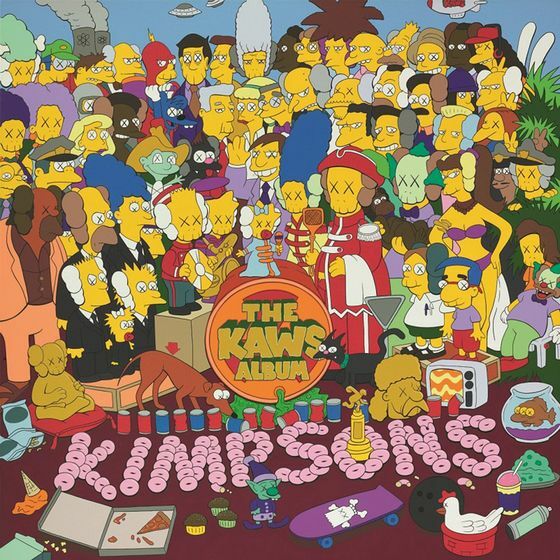 In what may signal a generational shift at the auction house, millennials bought $28 million worth of art inspired by the Simpsons at Sotheby’s. The works included skateboarding shoes and spray paint cans.